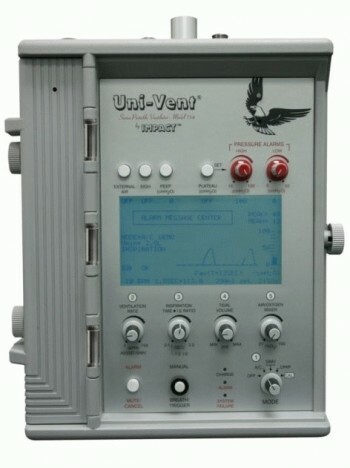 Save up to 80% on pre-owned Impact Univent 754 Eagle ventilators. The Eagle™ is the ideal solution for your mobile ventilator needs. Weighing less than 13lbs, and using a small footprint, it can go almost anywhere. Certified for use in-flight, it goes from hospital to medical flights to ambulances and can be mounted to a wall or most poles. Operates on Room Air, Compressed Gas, or a Combination.